Players Tour Championship 5 (2011-2012) - 1/8 финала. Players Tour Championship 7 (2011-2012) - 1/8 финала. 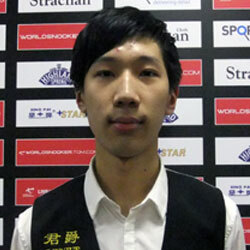 Asian Players Tour Championship 2 (2012-2013) - 1/16 финала. Euro Players Tour Championship 4 (2012-2013) - 1/8 финала.